digging deep, crossing far takes the camp as a starting point for contemporary readings of WWI in Germany, India, Pakistan and beyond. More than 16,000 colonial soldiers of the French and British armies, as well as Muslim POWs from the Russian army (they were the majority) were interned in two camps at Zossen-Wünsdorf, south of Berlin, between 1914 and 1918, the better-known being the Halfmoon Camp. The Germans and their Ottoman allies aimed at persuading the POWs imprisoned there to defect in concordance with a jihad program that had been developed by the German Intelligence Bureau for the East. The German state presented itself to the prisoners, as well as to the populace, as a friend of Islam. 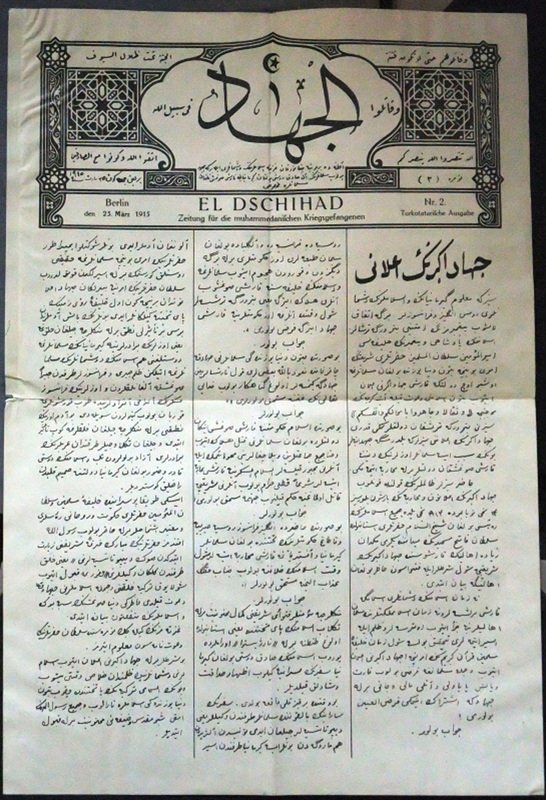 Religion could be practiced in the camp, and various camp newspapers were published, for example the El-Dschihad, which appeared in three languages. Germans were invited to view the prisoners – similar to contemporary ‘ethnographical expositions’ – and postcards depicting the mosque and prisoner motifs were printed. 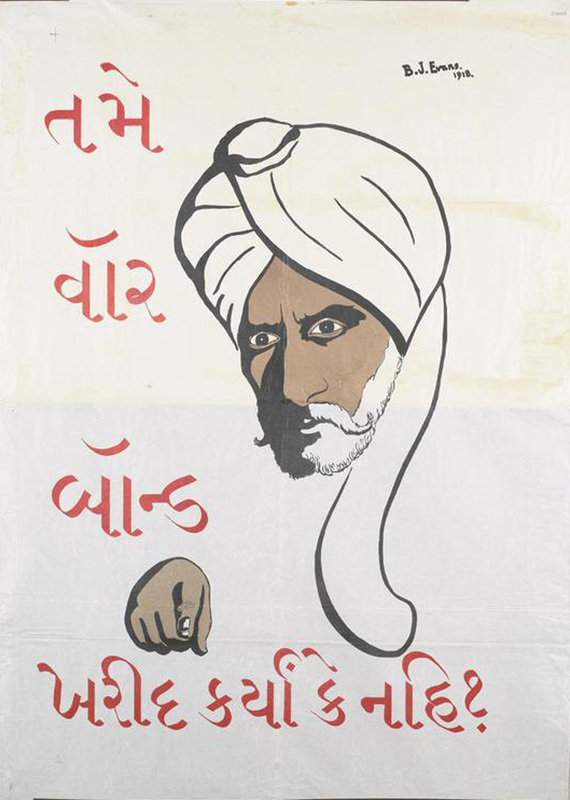 As for the Hindu and Sikh prisoners of war, the propaganda took a more nationalistic turn with the publication of the Hindostan newspaper and collaboration with the Indian Independence Committee in Berlin. Once it became evident that the effort required to convert POWs exceeded their usefulness, i.e., the propaganda’s direct effectiveness did not meet expectations for the number of defectors, the camps were increasingly opened up for ‘research purposes.’ Anthropological and racially oriented ethnological as well as linguistic studies were carried out on these prisoners from ‘around the world,’ and artists and filmmakers also exploited them for oriental portraits and as film extras. The first mosque in Germany was built as part of the jihad programme for Muslim prisoners of war in the Halfmoon Camp. The mosque was used for religious services, but it was too small (240 m2) to house even close to all of the Muslim prisoners at the camp. Therefore, on pictures taken of religious feasts held at Halfmoon Camp, most prisoners are seen praying outside the mosque – with the mosque itself simply providing a backdrop; a beautiful motif to the scene. 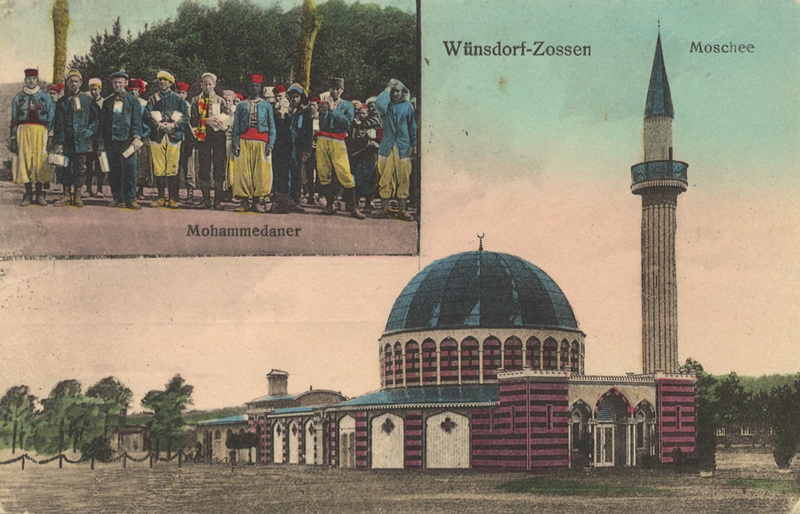 These images underscore the mosque’s setup in German war propaganda: The mosque was a popular motif on postcards, for it communicated the idea of German-Muslim friendship, and was printed and circulated widely. The mosque was made from wood and opened in July 1915, at the beginning of Ramadan. It was torn down in 1930. 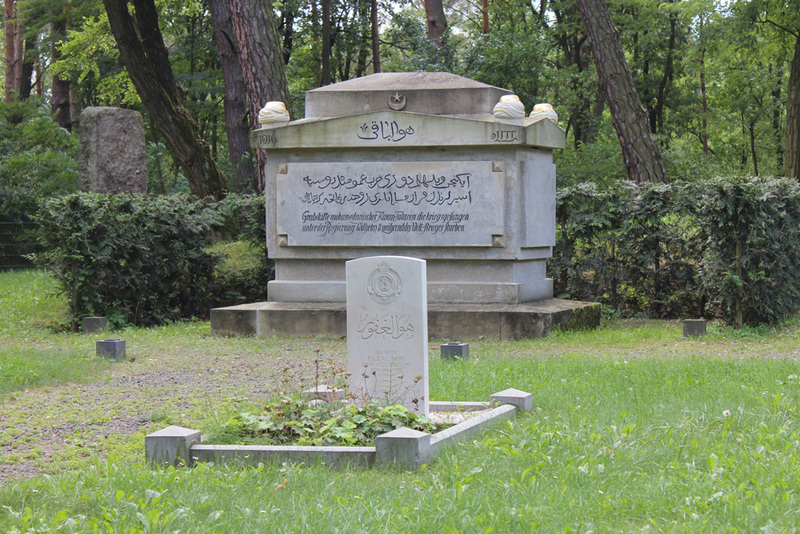 The ‘Indian cemetery’ in the forest near Wünsdorf (Ehrenfriedhof Zehrensdorf) is a multi-confessional cemetery; the gravestones of 206 Indian soldiers and sailors who died as prisoners of war in German camps can be found here. According to official reports, 412 Russian soldiers (mostly Muslim Tartars), 262 North and West African soldiers, 86 French soldiers, two Belgian soldiers, one English soldier and one Turkish soldier had also been buried in the cemetery during the war. Their remains were probably transferred after the war; only two memorial stones now remain for these fallen soldiers. The cemetery had been inaccessible for a considerable period of time, situated as it was within an area belonging to the Soviet Army in the GDR/East Germany. After three years of intensive restoration work, the cemetery was re-opened to the public in 2005. The Commonwealth War Grave Commission continues to maintain the Indian graves at the site. Memorial to the fallen Tartars on the Ehrenfriedhof Zehrensdorf. The spoken word and music recordings from both camps are still preserved today in the Lautarchiv at the Humboldt University of Berlin and the Phonogrammarchiv at the Ethnological Museum in Berlin-Dahlem. The Berlin Lautarchiv holds around 1,650 records from WWI camps, among them 193 records with 282 titles of South Asian colonial soldiers in the Halfmoon Camp. The linguist Wilhelm Doegen founded the Phonographic Commission in 1915 with the aim to record as many languages as possible. Members of the commission traveled to many POW camps in Germany, including the camps in Zossen-Wünsdorf that housed some of the most ‘exotic’ prisoners of war. 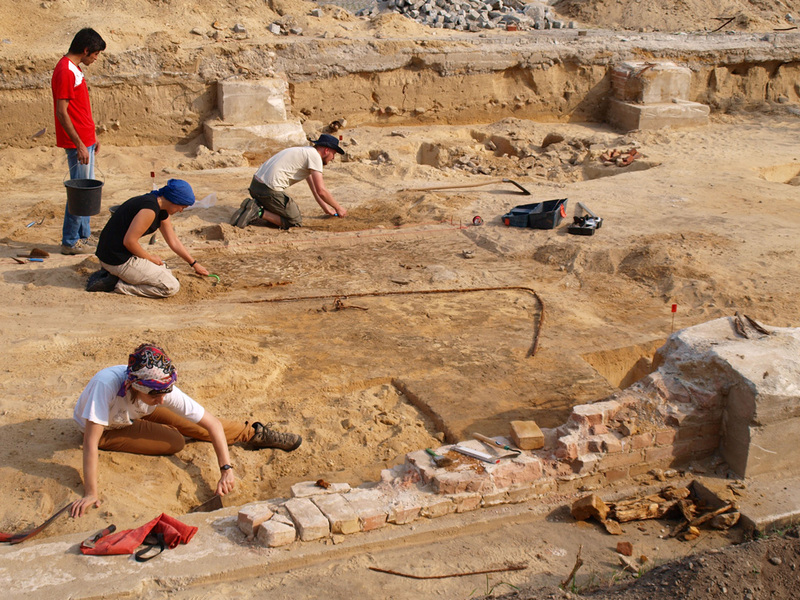 The Brandenburg State Office for the Preservation of Historical Monuments and the Archaeological State Museum, together with the Free University Berlin, planned to excavate the area of the mosque in the Halfmoon Camp in the military location of Zossen. This didactic and research-driven excavation was scheduled for the 100th anniversary of the commencement of the mosque’s construction. The State of Brandenburg, however, had also independently planned the establishment of a reception camp for asylum seekers on that same plot of land, which has been in public hands for 100 years. There was great surprise when, during preparations for the excavation, it came to light that all parties were dealing with the same plot. Documentation from a specialist firm to accompany the building work was now additionally required, due to the comprehensive construction plans for work over the ground memorial of the prisoner of war camp and mosque of the modern age. Through intensive cooperation between the university, firm and the specialist state office for historical preservation, the sparse remains of the lightweight timber construction of the mosque – whose site had also suffered as a result of two phases of suspended plans and renovations during the Nazi and Soviet regimes – could be identified and localized. This was no easy task, for the mosque itself had been demolished according to plan, and thoroughly, in 1930 in order for the parts (above all the timbers, and the foundations and floor coverings made of brick) to be recycled for other purposes. The iron bolts and bracing wire of the dome, colorful glass window fragments, glass and iron remains from the chandeliers, tiles from the ritual washrooms and, above all, foundations cleanly dug and then filled with screed, could clearly be identified as belonging to the mosque. Other finds, such as the remains of a cast-iron oven, slag pits, lead trays, datable industry products like drain pipes, and electronic fixtures stemmed from the time of the camp’s operation (1915–18). Relatively few items, by contrast, could be found from the Nazi period, with significantly more identified as from the Soviet period. They are proof of the three-fold history of this military site from where the ‘Holy War,’ or jihad, should have started in the name of the German Empire. The fact that now, in the fourth phase of its history, the site will temporarily house those seeking asylum from (among other things) the manifestation of jihad closes a vicious circle in world history, whose significance remains to be fully understood. See also: R. Bernbeck / T. Dressler / M. Gussone / Th. Kersting / S. Pollock / U. Wiegmann, Wünsdorf – Archäologie der Moderne. Ausgrabungen im Gelände der Moschee und des „Halbmondlagers“ von 1915. Brandenburgische Denkmalpflege, Neue Folge, 2. Jg., 2016, Heft 1, in print. The project made its first stop in Bangalore in December 2015 and in Kochi, India, in January 2016. Its 2nd Encounter, with an extended exhibition and accompanying program, was shown in Karachi, Pakistan in May 2016. History regards the First World War with its 17 million casualties as the seminal catastrophe of the 20th century that destroyed Europe’s ‘old order’ and whose repercussions would come to shape political and ideological conflicts until the end of the Cold War. But the First World War also shows how globalized the world and its international system of powers already were in 1914. It was not only the first war in which social forces and economic resources were mobilized but also the first truly global war in the history of the world. The entry of Great Britain into WWI meant that the entire British Empire would be involved in the European theater of operations, working alongside French colonial troops, Australians and New Zealanders, Canadians and South Africans. This global dimension to the First World War and its effects are often lost in the overall picture, reducing the war to the events that took place on the Western Front. Even in South Asia – where around 1.3 million combatants and non-combatants were recruited by the British for the First World War and more than 70,000 of whom were killed – little of the war and its consequences are present other than within a wider historical narrative. This might be due to the fact that the dramatic events of the First World War were to be quickly superseded by the Second World War, the Independence Movement, and the Partition of India. In addition, the ‘sepoy’ (an Indian soldier serving under British orders) held an ambivalent and sometimes contradictory position within society. The examination of the role that was played by South Asia in the First World War in publications dating from 2014 and 2015 marks a turning point in this narrative. Even before then, armed with a chronological collection of over 6,000 letters from the front, David Omissi (Senior Lecturer in Imperial History, University of Hull) was able to shed new light on the psyche and mental state of the sepoys, which also very precisely reflect the political dimension of colonial dependency (Omissi, David (ed. ), Indian Voices of the Great War. Soldiers’ Letters 1914–18, 1999). It appears from these letters that South Asia’s significant commitment to the First World War was owed not least to hopes for future autonomy and self-government. Nevertheless, that was no longer a consideration after the end of the war. There would need to be another world war before, in 1947, British India was finally divided into two independent nation states: India and Pakistan. 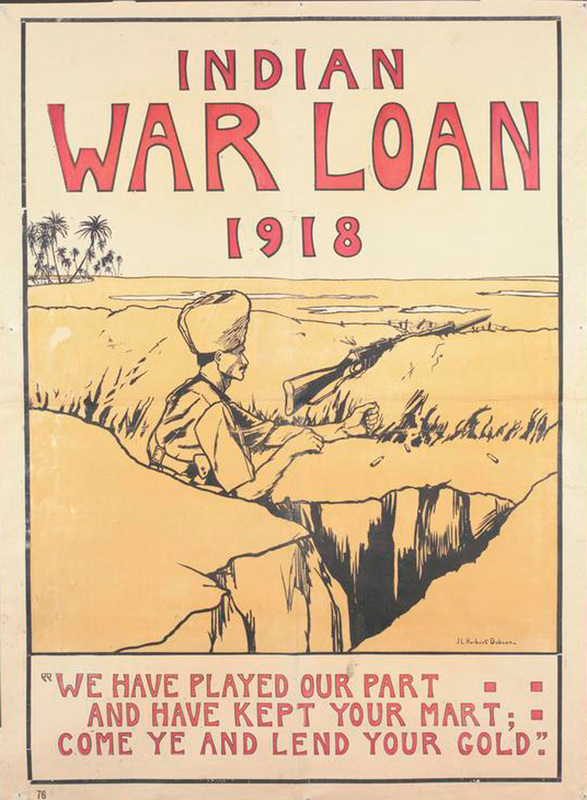 Promotional poster for war loans in English.